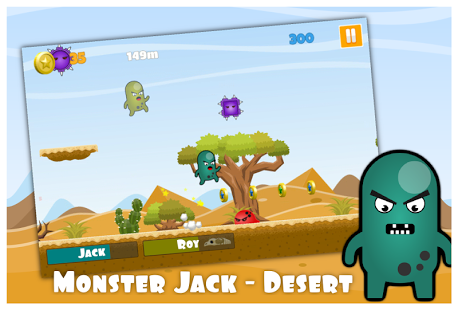 Run and jump, as you help jack to avoid enemy's and collect gold and gems to advance through this free infinite platformer game. 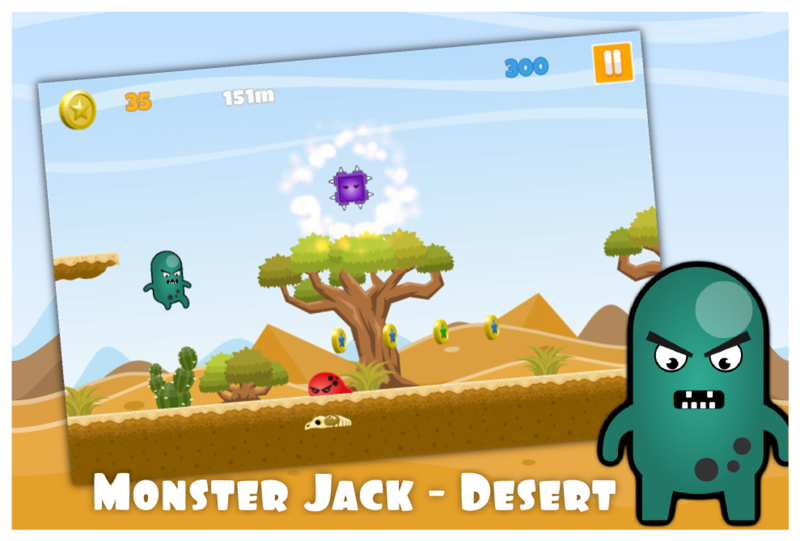 The world's most fantastical, fun, family-friendly Monster Jack (MJack) is a funny monster in a endless platform runner game, Awesome graphics and beautiful new sound effects. Thanks for all your feedback! 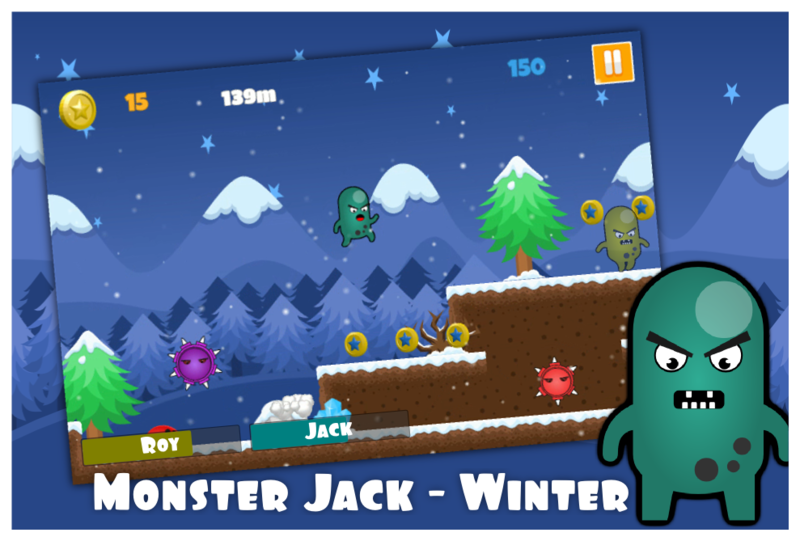 on "Monster Jack Beta" We took the best ideas and packed them into "Monster Jack", and the result is an incredibly good and addictive game. 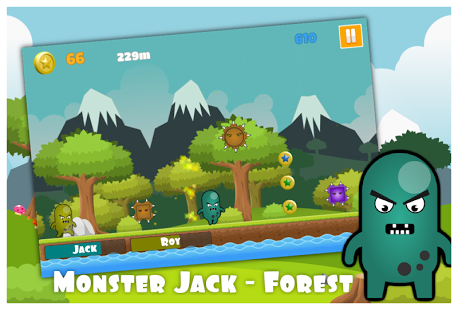 This is a new adventurous infinite platform game, Now you help jack and his friends to go pass there enemy's and obstacles on the way. Stay focused because as the game progress our little monsters might get nervous. 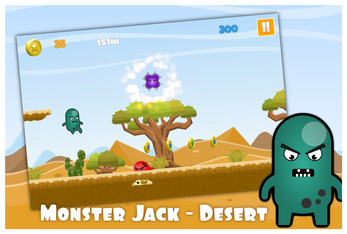 Think fast and keep an eye out for your lovely monster friends in this endless world..! 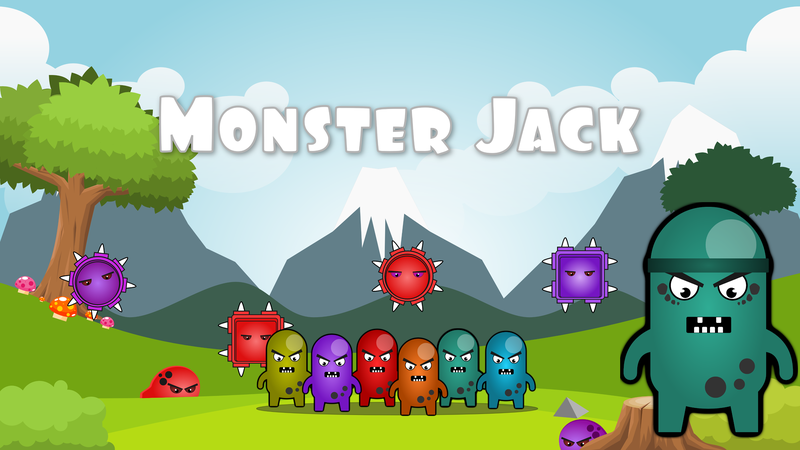 Gems can help you boost gold collection and unlock new infinite worlds, Diamond gives you a short shield against enemy's and Obstacles in the game, use it wisely and push yourself to beat your friends best score on the leader-board, Unlock new characters as the game progress..! A highly dynamic game engine will provide endless fun in these never ending world. Each run is a new challenge as the level is built randomly on the fly.